Food Service Express has developed a unique partnership with major foodservice distributors. We source specialty products that they normally would not bring into their warehouses. Because of this partnership we are able to slot your product quickly. 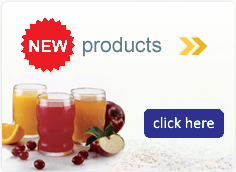 Our catalog is available to all of the distributors' customers via a direct computer link. This means that 500,000 foodservice facilities have instant access to your products. We buy and warehouse your products. When our distributor partners receive an order for your products we ship directly to their customers throughout the nation from one central location. This creates an economical and efficient logistics system.